Less than two months into his new job, Adm. Karl L. Schultz, the new commandant of the U.S. Coast Guard, encountered a surprise. The House of Representatives unexpectedly zeroed out the budget for a long-anticipated heavy icebreaker. Schultz was taken aback, but still has hopes the icebreaker — and five other polar-class vessels like it — will still find funding in Congress, and soon. 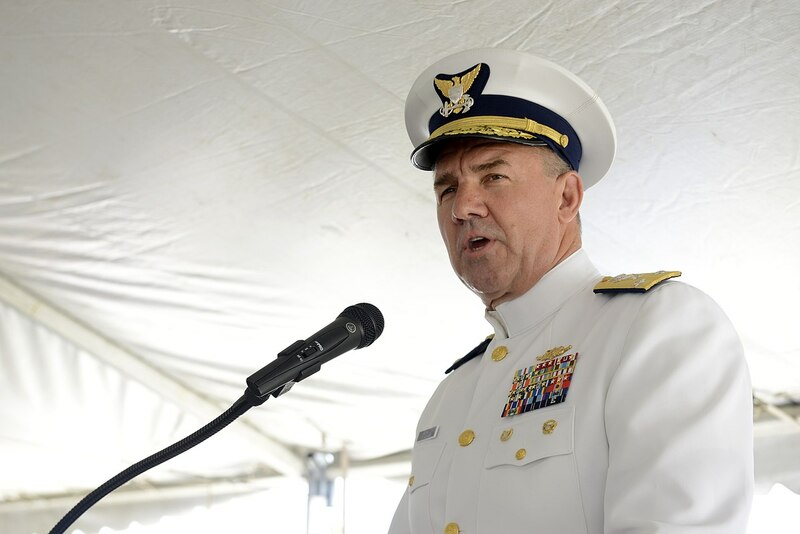 “We need six icebreakers, three of them need to be heavy icebreakers, and we really need one today,” Adm. Schultz said at a recent event at the Center for Strategic and International Studies in Washington. The appropriations process is complex, he noted, but he was pleased to see $750 million in icebreaker funding requested in Pres. Trump’s budget and included in the Senate version of the bill. The Homeland Security appropriations bill, on the other hand, cut the icebreaker funding in favor of building a southern border wall — a politically divisive move. “Homeland, because of the contentiousness, might be a post-midterm election type of bill,” he said. Or the funding could come from a different source; as ArcticToday reported last week, the icebreakers could appear in the defense budget. The Coast Guard commandant wants to be able to access the Arctic at any time of year. Right now, Schultz explained, the Polar Star cuts a path to the McMurdo research station in Antarctica every year, and then the vessel immediately goes back to the shipyard for repairs before the next annual McMurdo breakup. “But we really need to be in those spaces all the time,” Schultz said. Heather Conley, senior vice president for Europe, Eurasia, and the Arctic at CSIS, recently expressed concerns about the United States’ largely seasonal approach at a House hearing on maritime transportation. He even proposed a potential name for the heavy icebreaker: the Polar Security. Schultz began speaking of the Arctic as an “emerging” place of concern, and then he corrected himself. “It’s really not an emerging place. The reality is, the Arctic is on us today,” Schultz said. “We [can’t] get up there soon enough, from my perspective,” he said.